문서번호 PLA01201706 작성일 2018. 12. 13. ○ 공정 목적 : NNFC 공정을 이용해 SiO2와 IGZO 사이 Dry etch selectivity 확보를 목표로 함. 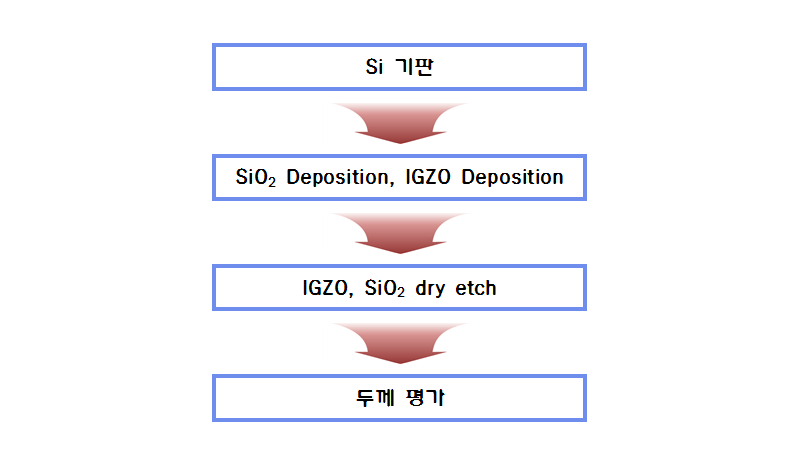 ○ 공정 용도 : SiO2와 IGZO 사이 Selectivity를 확보하여 CMOS circuit이 구현된 Wafer에 Membrane-Gate FET 소자 제작에 Active layer로 IGZO를 이용하려 함.